adidas Originals revives adicolor, its most iconic apparel franchise. Cultivated in the 70’s, the range is an instantly recognisable symbol of sports and street culture which returns in 2018 remastered for the present with the confidence to playfully celebrate colour for a new generation – never afraid to poke fun at itself. adicolor transcends cultures and eras to redefine itself in perpetually new contexts. Always taking colour seriously, and taking itself less seriously. 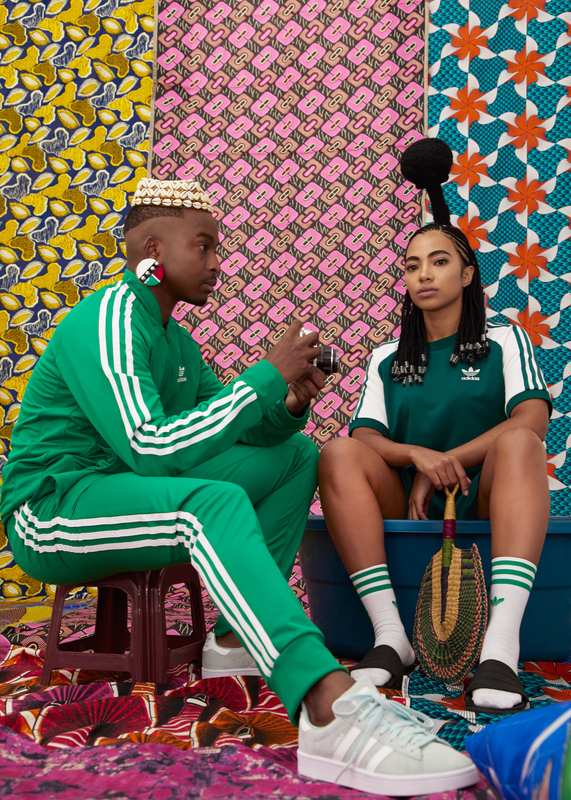 To kick off the launch of adicolor in South Africa, adidas Originals commissioned a curated group of local creatives to show how they celebrate colour in their everyday lives and start a contagious online colour movement. From 18th January – 1st February 2018, adidas Originals fans are encouraged to visit one of the following stores: adidas Originals in V&A Waterfront and Sandton or Sportscene in Eastgate, Menlyn, Canal Walk and Gateway, where they will be able to play and add some colour to their lives. Customers are invited to mark the launch of the adicolor collection by purchasing any piece of adicolor and using the simple Wear, Snap, Share social media mechanic to upload a picture of their purchase on Instagram and stand the chance to win an awesome prize. In an aim to flood Instagram with adidas Originals’ four primary colourways; Bluebird, Fairway Green, Scarlett Red and Sun Yellow, customers are invited to get styled up in the collection, select a fun prop and have their picture taken in the adicolor photo booth. Once they upload their picture to Instagram, their post will serve as an entry into the competition. Share a photo of yourself on Instagram wearing your adicolor purchase. Tag @adidasza and #adicolor. Stand a chance to win R10 000 worth of adicolor product. The adicolor collection will be launching on January 18th at adidas Originals stores, Sportscene and www.adidas.co.za.